Share your photos on Instagram with the hashtags #sohoshorts and #lieslandco. Waist* 26 1/2" 27 1/2" 28 1/2" 29 1/2" 30 1/2" 31 1/2"
Shorts Outseam 16" 16 1/4" 16 1/2" 16 3/4" 17" 17 1/4"
Shorts Inseam 4 1/2" 4 1/2" 4 1/2" 4 1/2" 4 1/2" 4 1/2"
Skirt Length 21" 21 1/4" 21 1/2" 21 3/4" 22" 22 1/4"
Waist* 33" 34 1/2" 36" 38" 40"
Shorts Outseam 17 1/2" 17 3/4" 18" 18 1/4" 18 1/2"
Shorts Inseam 4 1/2" 4 1/2" 4 1/2" 4 1/2" 4 1/2"
Skirt Length 22 1/2" 22 3/4" 23" 23 1/4" 23 1/2"
* Measured 1" below natural waistline. This style is designed to sit 1" below the natural waistline. If you prefer to wear the shorts/skirt higher, you may want to sew one size smaller. 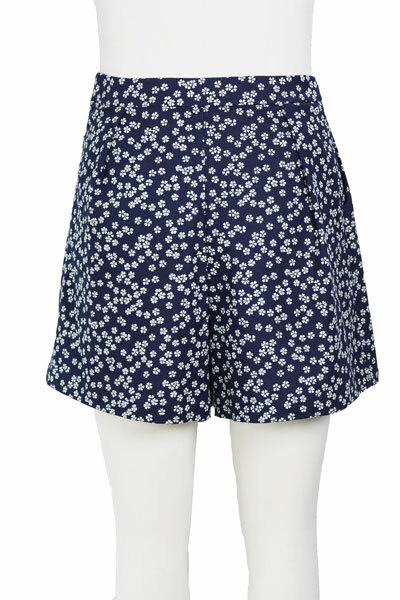 I have recently made the shorts with a lovely drapey viscose fabric. The fit is excellent and the fabric was the perfect choice to show off the pleats without being bulky. I have plans to sew some more shorts and also to try out the skirt version. Thoroughly recommend. After sewing a couple of Oliver & S patterns for my children, I finally decided to try one for myself. I wasn't disappointed! 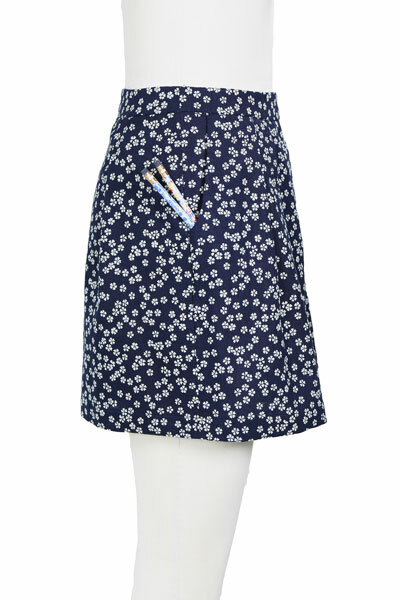 I enjoyed sewing this skirt and the instructions were easy to follow. My only changes for next time will be to widen the waistband slightly and make it out of rayon or something else with more drape as I used a cotton poplin and it's a little too "stiff" for my liking. I recently made the Soho shorts and, although I made the mistake of cutting out the back pieces one size too small, I was still able to hack the pleats so that the circumference of the shorts matched the (correct) waistband size - and I don't think the recipient noticed the difference! What I like about this pattern is that you can sew it up in a variety of fabrics and get lots of different looks. So far, I have achieved a nice drapey result with rayon, but am now making the skirt in a crisp cotton poplin which will be great for summer. The instructions are really good, thorough and easy to follow - as I have come to expect from Liesl's patterns! 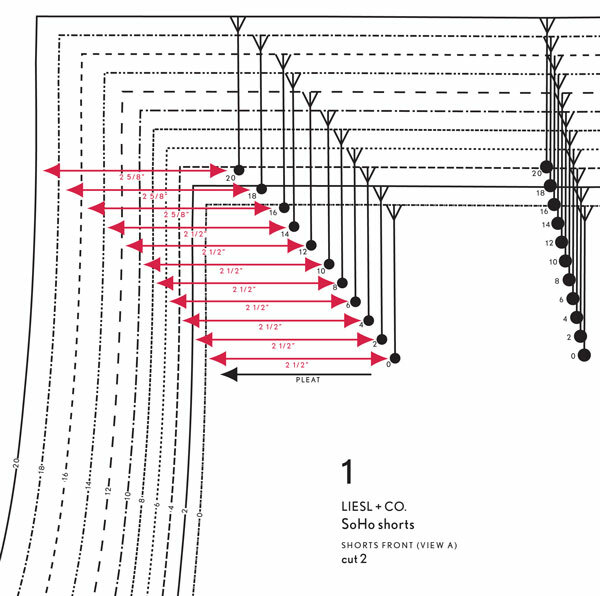 You can really tell that a lot of thought went into these instructions, which is why I look forward to buying more Liesl + Co patterns in the future. I bought this pattern just a few weeks ago and have already made 2 versions- 1 in Liberty tana lawn and 1 in a Cotton&Steel rayon. At the same time I made a Seamwork Patsy skirt as a comparison to find the more flattering, slightly pleated knee length skirt. 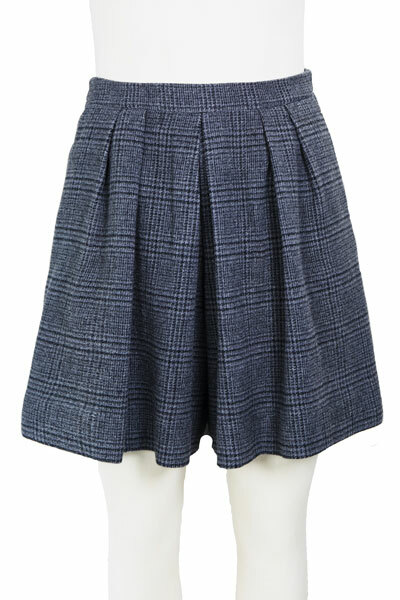 The Soho skirt won convincingly-a little less full and the pleats fall so nicely. The pattern came together perfectly- I was surprised as usually with patterns there are seams which do not! 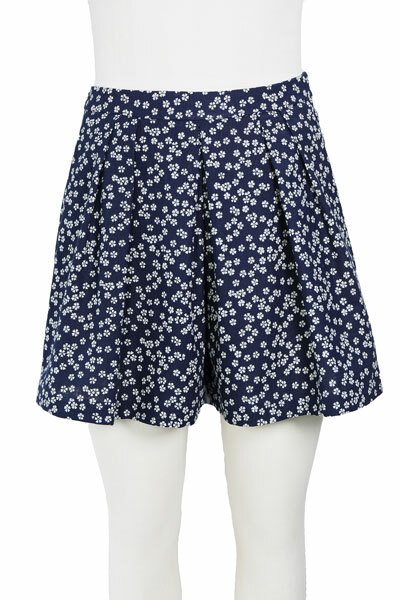 I really like it, and I'm looking forward to some better weather (in NZ) so I can wear my 2 new summer skirts. I made the Soho Shorts for a summer trip to Orlando and they're perfect! Great fit, easy construction and the silhouette will be perfect for the heat of Disney in August. Now I just need to make four more pair! Made the skirt with a lightweight denim . Fun and easy pattern with h clear directions. I shortened the skirt about two inches so it would fall above my knee. Also I left the pleats sewn together for a more streamlined look. I've already bought some rayon to make the shorts. Next time I will make the very smallest size because the waistband seemed to stretch a bit. I always enjoy sewing patterns from this company! The directions are so clear and easy to understand. I've been "hobby" sewing for many years, but learn some new technique or tip with every pattern. I sewed the skirt, and am super happy with the fit and silhouette, and find it has become a staple in my closet. My teenage daughter told me she liked it on me--a very high compliment in my book! This is a fantastic pattern. I made the shorts and I am delighted with the overall look. The instructions are clear and the details and really clever and make the finished garment look so professional. I plan to make lots more of these!! Thank you for the lovely pattern Liesl! I love this pattern! I made the skirt, and it was a really enjoyable and satisfying make. Nothing too complex but enough details to keep it interesting. 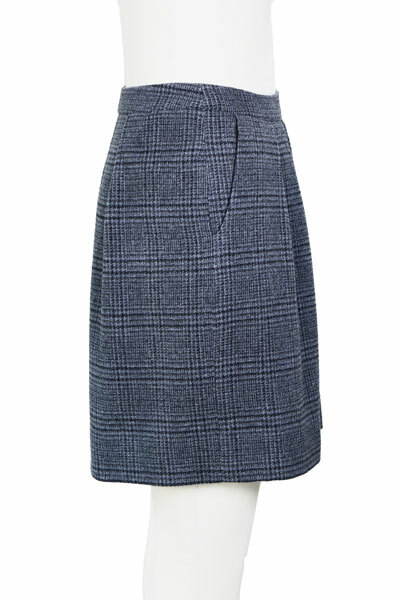 The curved waistband gives a lovely fit, and the pleats and pockets sit perfectly without adding too much bulk. All the pattern pieces, notches, etc matched perfectly, and the instructions were clear and thorough. I've already hacked the pattern to make a version with three box pleats, and I've used the waistband to replace straight waistbands on two other patterns (I'm not normally anywhere near so productive but making this skirt inspired a skirt-making binge!). It was my first time using a Liesl and Co pattern but I was very impressed so it definitely won't be the last! In the first printing of the paper version of this pattern, there were two minor errors. These have been corrected in the digital version of the pattern that is now available. In the first printing of the pattern, the section Getting Started (found on page 1 at the top of column 3) instructs you to cut two 1" by 6" strips of interfacing for the zipper. You may find these strips to be a little short when they are used. You can cut two 1" by 7" stripes instead. In the first printing of the pattern, the center pleat on the shorts front (Piece 1) contains an error. The correct position of the dot and pleat line should be 2 1/2" from the front rise cut line (2 5/8" for sizes 16-20) or 2" from the seam line (2 1/8" for sizes 16-20). When you reach Step 3 under "Assemble the Shorts (View A)," simply adjust the pleat line according to these measurements and the shorts will fit the waistband correctly. If you reach Step 7 of "Attach the waistband" and the shorts front doesn’t fit correctly, this adjustment will fix the problem. We sincerely apologize for this error. 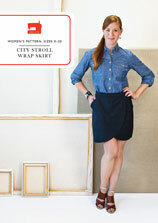 Discussion on the digital soho shorts + skirt sewing pattern from the Oliver + S Discussion Forums. Find and share more photos on Instagram using the hashtags #sohoshorts and #lieslandco.